Now that we've explored actions of anti-Blackness in Latina cultures, you're probably wondering what we can do from here. I'm going to be honest, it feels like Latinos/as/xs have to change an entire culture to not only recognize racism on the whole, but also to realize the casual racism that is lying underneath. To remedy this issue of anti-Blackess in Latino/a/x culture, we can turn to the writings of Erica Womack for guidance, in particular, her essay "Lessons in Love, Literacy, and Listening: Reflections on Learning with and from Black Female Youth." Womack's essay is most notable for reframing listening skills through critically conscious decisions. Considering this, Womack notes that "gaining greater awareness of how Black female adolescents understand themselves and the(ir) world around them becomes especially important" (180). This means in order for Latinas to understand Afro-Latinas and their struggle within Latinx communities, we have to stop interjecting light-skinned Brown privilege as being the only Latinas that matter to representation politics. By shifting the spotlight on how Latinas as a whole are marginalized, with Afro-Latinas being at the forefront of the most oppression in our culture, only then will we be able to create a united Latina front. So how can Latinas execute Womack's theory? One of the ways we can increase a collective community both online and in real life, is to support Afro-Latinas in their lives, either through their careers, or to celebrate their livelihood. By doing so, we will be creating visibility for Afro-Latinas who feel excluded from White-passing, Non-Black Latina circles. One Afro-Latina I recommend supporting is Zahira Kelly (you might have seen her on the previous page on Cardi B, discussing the rapper's Blackness as an Afro-Latina). Kelly is an Afro-Dominicana mother, writer, cultural critic, artist, and international speaker, from New York City. She has spoken at multiple universities like Sarah Lawrence, New York University, and The New School. Her writing has also been featured in publications like The New York Times, The Fader, Vibe, Latina, and Comopolitan, and you can find her regularly written column on The New Inquiry. Zahira continues much of her conversations on Latinegras on her social media platforms under the username @Bad_Dominicana, and has started the trending hashtags #MaybeHeDoesntHitYou and the spanish language version, #QuizaNoTePegue, to create an online conversation about gendered non-physical abuse that started to manifest in her life. Not only did she start the tag as a form of self-therapy, but also as an outreach to women who have experienced similar actions to those of Kelly's. I bring Kelly up because she is an acclaimed writer on Latinidad, Afro-Latino erasure, and building a stronger community amongst Afro-Latinxs. Along with her very extensive and impressive writing resume, Kelly also has a e-commerce shop that features her series of art prints and wearable items that represent her Afro-Latino heritage. She also currently hosts a YouTube channel where she dissects Latino/a/x culture. Kelly is able to produce this work through her Patreon account, where she's can work creatively on her own time and is able to keep a continuous income. An example of her work can be seen below, where she addresses the issue of Latinos interjecting their art into Black art. Next, we have to listen to Black women and their experiences in order to understand how Non-Black Latinas can support Black/Afro-Latinas. 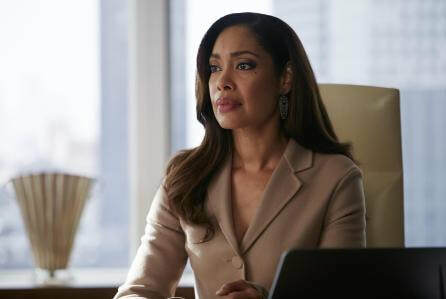 If you're wondering about the voices on Afro-Latina visibility, actress Gina Torres (you've seen her on the USA Network's Suits, NBC's Hannibal, and Fox's very short lived "Space Western," Firefly) has got you covered. She's been vocal about the lack of Afro-Latina visibility since day one, and she's even quoted in the NBC Universo documentary, Black and Latino, for addressing the following concerns as a working Afro-Latina actress and Hollywood exclusively casting light-skinned Latinas. Fun fact: I have a very soft spot in my heart for Torres because we went to the same high school. By creating this media visibility for Afro-Latinas, and utilizing the listening skills that Womack explains, Latinas can combat exclusionary and anti-Black actions. By bringing Afro-Latinas into the conversation of representation, rather than pushing them out, Latinas can create a more cohesive, effective, and united Latina community. Womack, Erica. “Chapter 7: Lessons in Love, Literacy, and Listening: Reflections on Learning with and from Black Female Youth.” Counterpoints, vol. 454, 2013, pp. 174–190. JSTOR, JSTOR, www.jstor.org/stable/42982252.